The findings of a recent NCHS Data brief found that Americans suffer from decreasing strength with age. While it has always been assumed that we lose muscle mass and strength with age few studies have examined the numbers to examine the validity of that assumption. While this studies findings are important I believe that they under-represent the real numbers of weakness Americans suffer from. The authors used the Foundation for the National Institutes of Health criteria to measure for strength. This criteria utilizes grip strength as the main measuring tool. I believe there are better ways to measure whole body strength beyond grip strength that could make these numbers appear worse than they really are. This NCHS data brief found that 5% of adults over 65 had weak muscle strength, 13% had intermediate strength, and 82% had normal muscle strength. They also found that of persons aged 80 and older; 19% had weak muscle strength, 34% had intermediate, and 47% had normal muscle strength. The authors note that 55% of those with weak strength had difficulty rising from a chair, which is a standard measurement for mobility. This finding indicates that decreased strength results in decreased mobility. In a world ever vigilant on presenting evidence based facts this study is important. As I mentioned earlier, this study helps to prove assumptions we have made on human aging based on observations. More importantly it helps to illustrate the importance of strength training as long as we are physically able. As we age we should strength train more, not less. Strength training will help to offset any normal muscle loss due to aging and help keep us from becoming immobile. 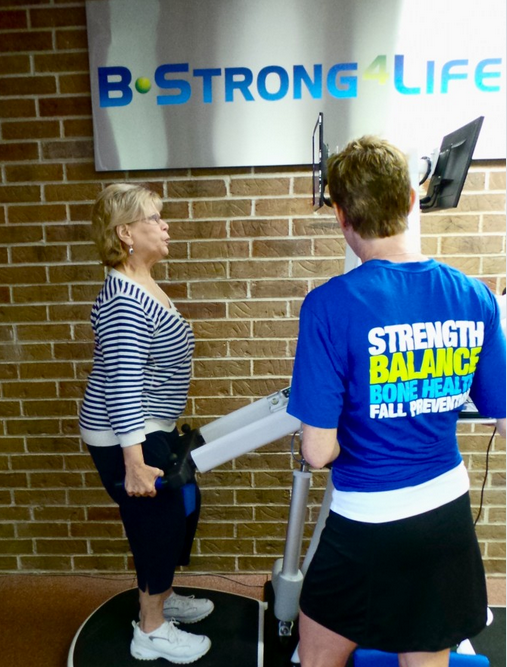 BStrong4Life is a program that is perfect for all to help improve strength, balance, and bone health but is especially effective for older and deconditioned persons. If you are looking to reduce the likelihood you will lose strength as you age, or if you want to increase your strength even though you are a little older than you used to be; we can help.